As expected crossing the border to Foz was relatively painless with our taxi driver taking us from the doorstep of one hotel to the other. 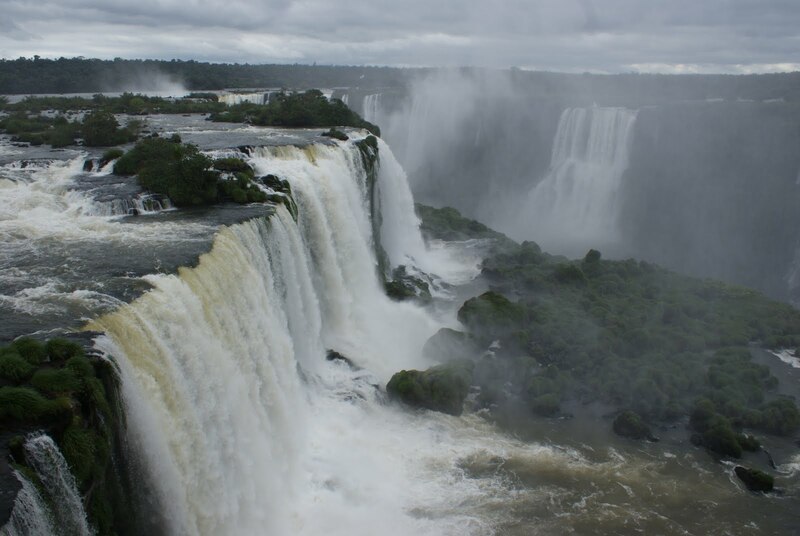 Nevertheless we got to our hotel and then the National Park on Brazil's side much later than had been planned. Luckily this side of the falls didn't take too long to cover (and in fact could have been seen as not quite unmissable) and we managed to catch up on time. The difference between Argentina and Brazil could already be felt, the latter being much more developed. That said it was clear which of the two countries had the better falls experience. As was the case yesterday, after being done with the falls we decided to head into town. We saw a lot of Islamic signage and even food on the way, but decided to head to the mosque for guidance (of more than one kind) anyway. After a longer than expected walk we finally got there, where I took the chance to perform my day time prayers as well as talk to Ibrahim about the local Muslims. The story was the same here as it was in Buenos Aires - a lovely mosque but very few people to use it. 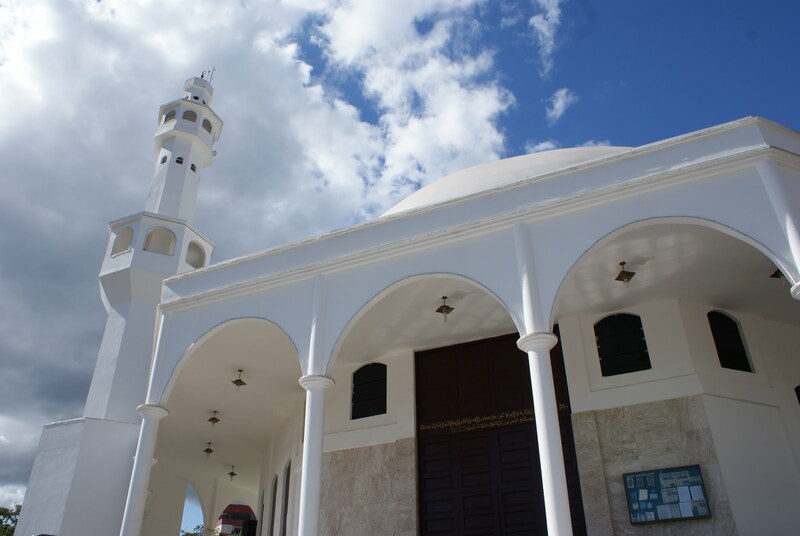 Still, I was told that there was a community of Pakistanis around, and they along with the other Muslims appeared to commute to Ciudad del Este across the Paraguayan border (twenty minutes away) to work. Ibrahim kindly gave us a lift back to the bus station, and more usefully at that point, halal food. 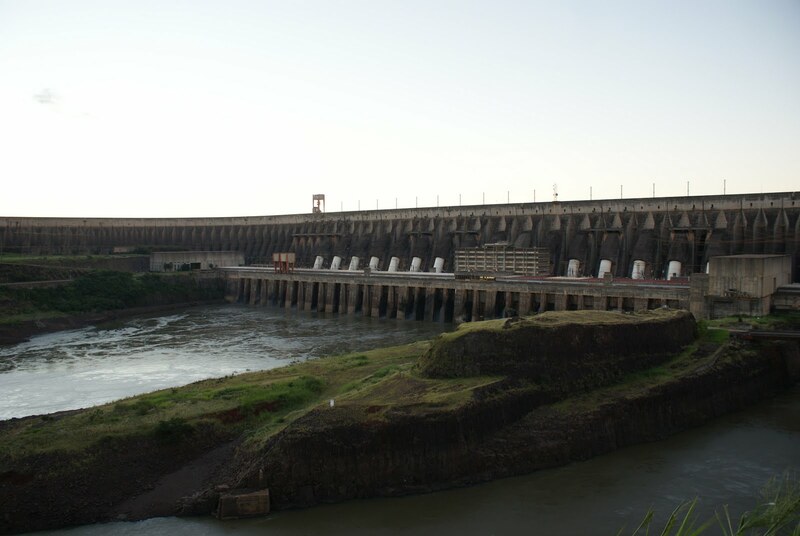 Almost as a punt we headed north to Itaipu, home to the worlds largest dam. Luck was on our side that day, as the special guided tours were running despite us being advised they didn't on Sundays. Managing to catch the start of the last tour that day we spent a couple of hours driving and walking around the dam, just taking in the sheer scale of the construction. It was a brilliant and amazing thing to do, and for me even topped our visit to the falls hours before that morning. 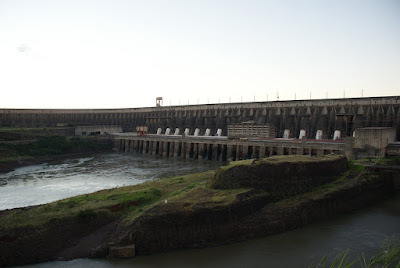 Itaipu was definitely a hidden gem, and definitely recommended. Despite the slow start, today was a brilliant day. I got a lot done (everything I wanted to do) and got to talk to a local about Islam in the region. Although after thinking about it, it didn't quite yet feel that we were in Brazil properly; apart from having to adjust our bad Spanish to bad Portuguese. Oh and yes, the women were even nicer than they were in Buenos Aires. Perhaps our next destination tomorrow will feel more like we've reached a new country? Such a breathtaking view of the waterfall.